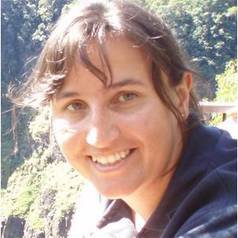 Kirsty Penkman is a Senior Lecturer in Analytical Chemistry at the University of York, with research interests in the development and application of analytical chemistry to archaeological and geological questions. In particular her focus is on the analysis of proteins: their pathways of degradation, their methods of preservation, of detection, and how these molecules can inform us of an organism’s life and death history. She runs the NERC-recognised amino acid dating facility, NEaar. A continuous focus of her research has been in ensuring the highest quality amino acid data from fossil samples, whose low concentrations of protein are easily subject to modern contamination. The analytical difficulties of recovering the very low concentrations of useful biomolecules from fossil material require development and refinement, from intensive studies into the best methods of preparation, to the optimization of analytical methods by RP-HPLC.